At the moment clothing industry is based on fast and cheap production, quantity runs over quality. 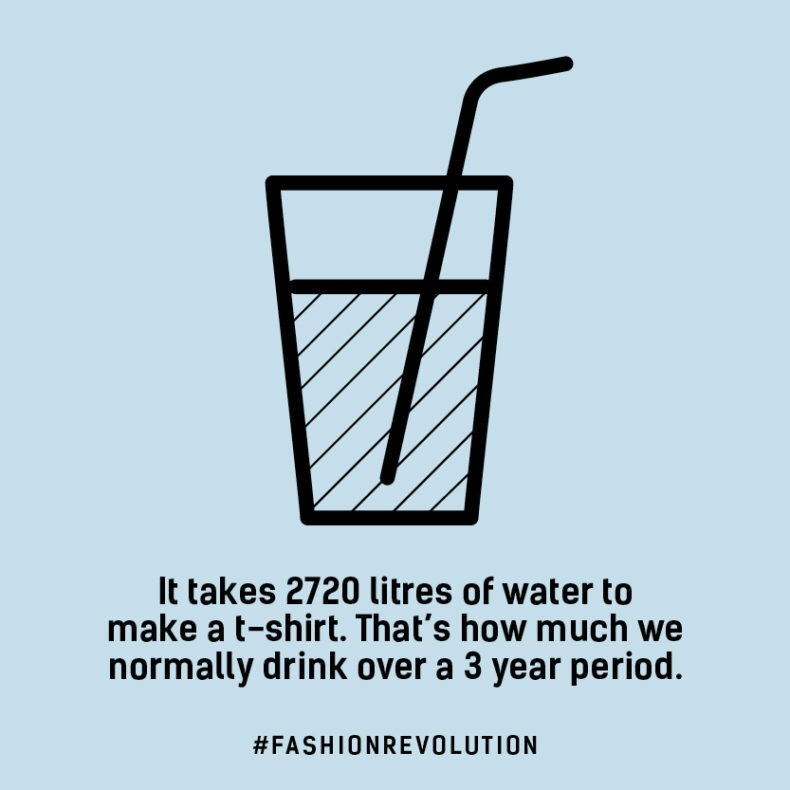 This is completely unsustainable and the reason why Fashion Revolution is held. Last week, for the fourth time, thousands of people all over the world asked different brands #whomademyclothes. The challenging of the brands should, however, run all year long! At the Fashion Revolution event in Designmuseum, Helsinki. 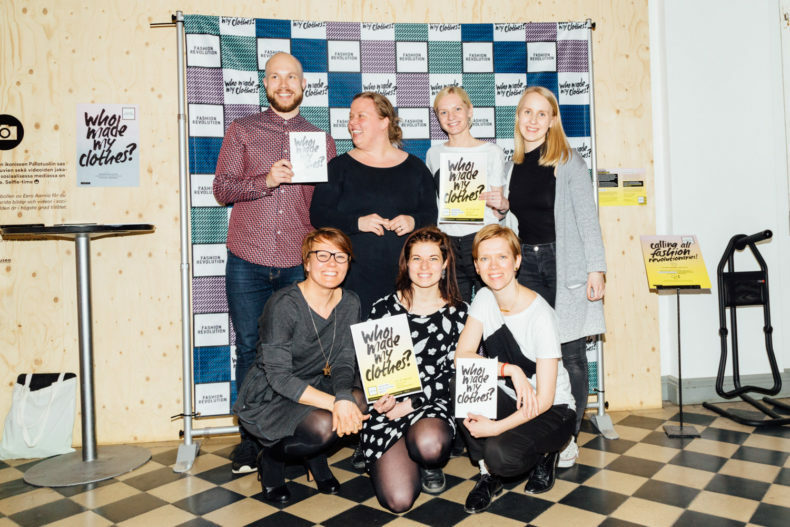 Our Weecos team with PR Fashion Room’s Pille-Riin Aasa, the Fashion Revolution Finland organiser Heidi Korva and designer Reet Aus. 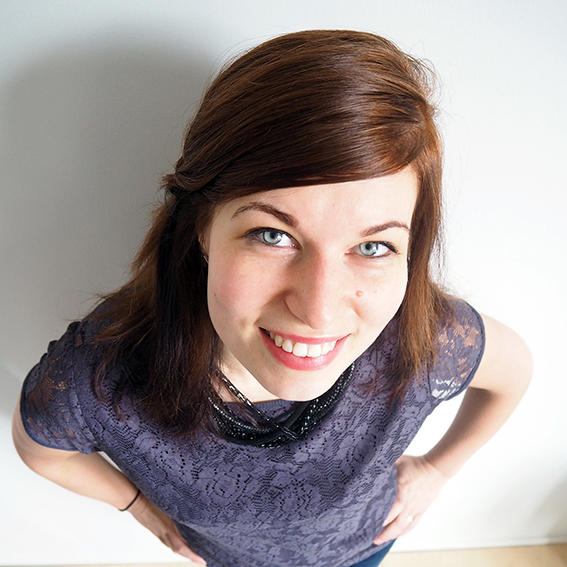 Photo by Sara Hornig. The Fashion Revolution campaign has always moved me. The campaign’s actions show consumers that they have the power to make a positive change, and by asking #whomademyclothes people worldwide can call for a fairer, safer, cleaner and a more transparent fashion industry. The campaign raises public discussion of the working conditions and wages of those who can’t defend their rights themselves. Why? Because trade unions don’t exist in many countries having textile industry as they are a threat to the system. And if trade unions exist or are established, people are penalised of them. Besides that Fashion Revolution calls for transparency of the fashion brands, it also calls for us, consumers, to consider our consumption habits. As said, the numbers are rough and make you think your consumption habits. But sometimes numbers are easy to pass by, scroll over, and therefore, we need stories. The thing that moved me in this year’s campaign in a whole new way was the story Out Of Fashion. And the fact that in how different world we here in West live. I had the pleasure to meet Reet Aus, an Estonian fashion designer dedicated to slow fashion and upcycling and one of the makers of the document. Rather than making me feel guilty, the document was inspiring, gave hope, was focused on solutions. In it, Reet first wants to solve the origin of her Zara jeans but unexpectedly ends up in cooperation with a clothing factory Beximco. 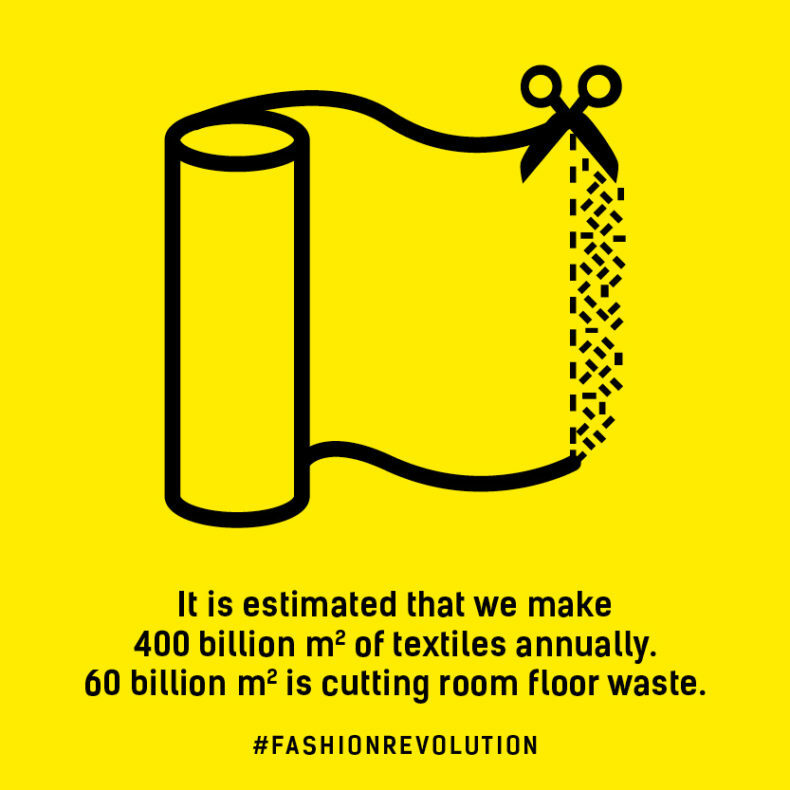 The current clothing industry produces fabric waste approximately 15-20 %. Thousands of factories in the third world produce not only clothing for big corporations but also thousand tons of toxic waste. The document handles these problems but the touching power of the documentary wasn’t the “waste department”, containing enormous piles of textile waste, it was the moment Reet visited the workers and then went to meet the global fashion brands. The pictures revealed in how completely different world the brands and the people in the factory’s production line live in. Designers design in the headquarters, the businessmen have their minds set on money. They don’t know how the production happens, they don’t know the amount of textile that is going to waste. The brands don’t have the understanding of the environmental, social and economical impact because they don’t visit the production places. Nor do we. The business logic of doing as much as possible as cheap as possible does not fit into our minds anymore. The core of Fashion Revolution and us, Weecos, is to stand against this unsustainable business logic. Reet Aus is right, the only way to fight against the enormous fashion industry is from the inside. Together we can make a change. The more people demand to know #whomademyclothes, the more brands will listen and not only the steps to a more transparent industry can be taken but also the workers would get decent working conditions and wages. In other words: decent lives. 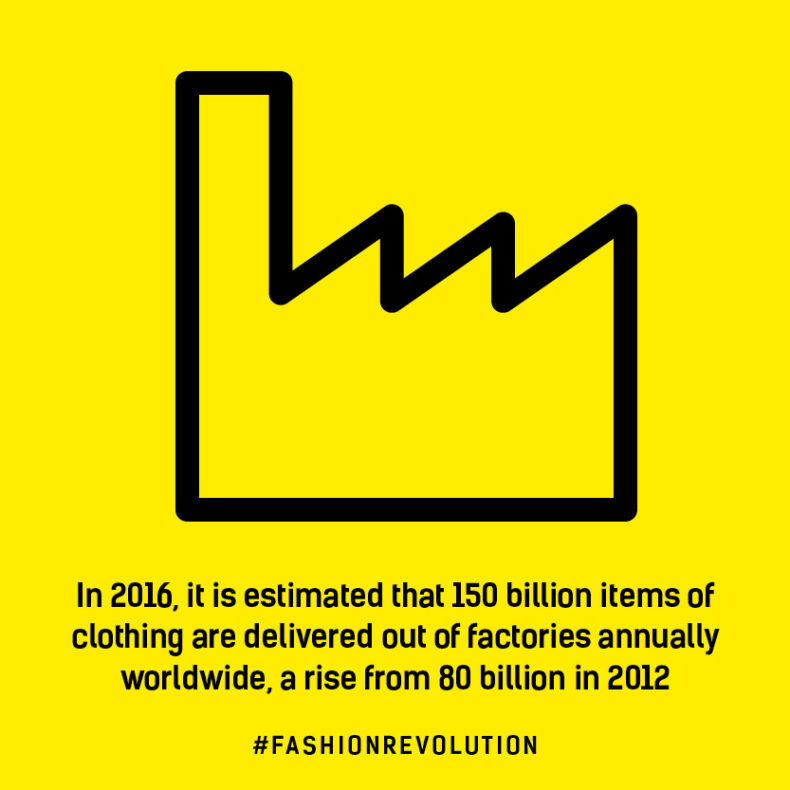 In addition to the question #whomademyclothes, there are several ways to make a difference all year round. 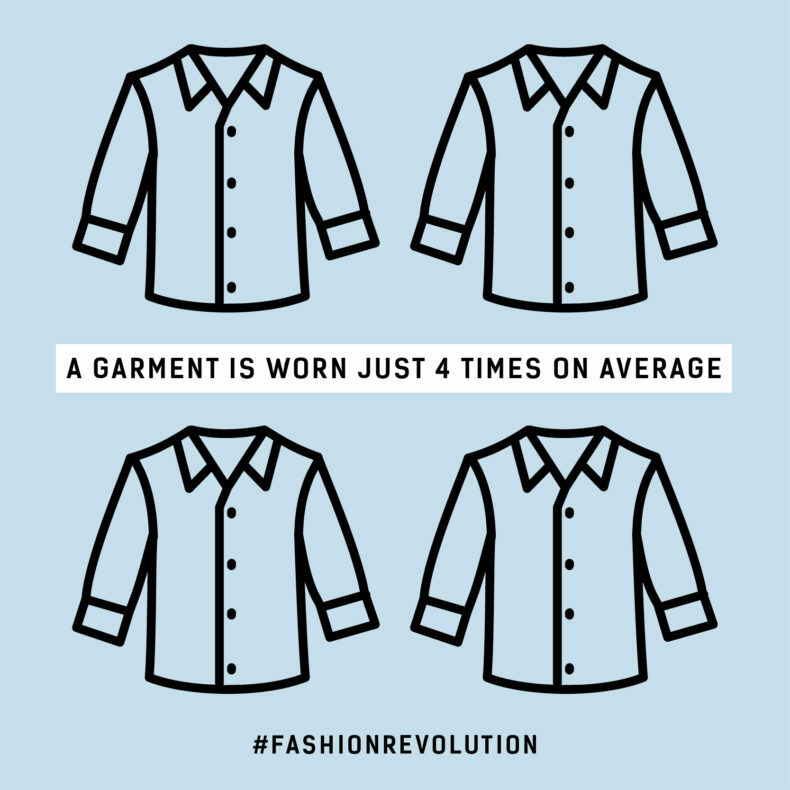 Here are some ideas inspired by Fashion Revolution. While shopping, ask yourself do I really need this? Am I going to wear this? Buying quality is the best eco-thing to do. Buy less, but buy quality because it can be used over and over again. Favour those brands whose production chain is transparent. Those who are aware of the story behind their garments are also happy to share it! 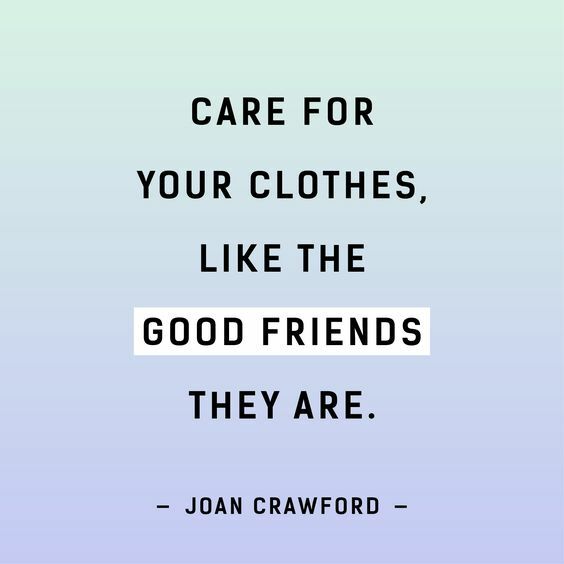 Take care of your clothes so they will last longer. Remember that clothes can also be fixed.